A day in the life of a physio graduate. How crazy around this time last year I was starting to write my blog. Now a year qualified looking through my posts it is crazy to think how much I have achieved in that time. 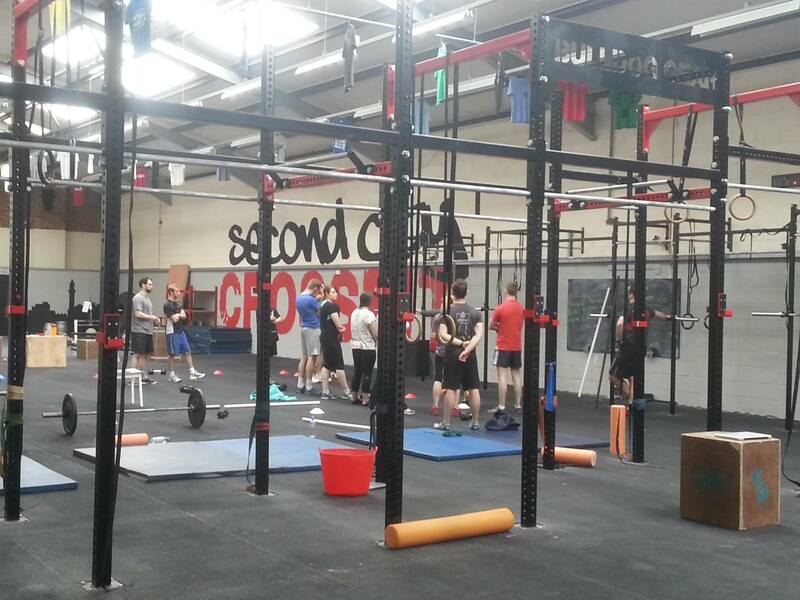 So this blog post is going to update people on my progress through rotations and will also touch on a recent course I have been on for Strength and Conditioning combined with Physiotherapy. 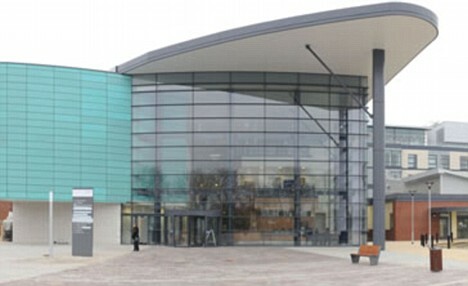 Currently I am working within the Specialist Medicine team at Derby, covering one of the acute respiratory wards and the High Dependency Unit. My first impression of starting my respiratory rotation was although respiratory physiotherapy isn’t my comfort zone, it was a skill I needed to develop. I naively thought “well at least I won’t have the same level of social sort out as elderly medicine….” (How wrong I was). You forget that elderly people may also have a respiratory condition and even if they are not elderly you may have to deal with breathlessness management, oxygen requirements and anxiety to prevent people being readmitted to hospital. Initially I found myself being very slow with my assessment an acute ward is very different from ITU. On ITU a lot of the patients did not necessarily have predisposing respiratory conditions (not all of them) or they were intubated so management was focused on chest clearance and early rehab. Whereas on an acute ward you are looking at how patients will manage at home with ADL’s, the need for long term oxygen therapy, occupational therapy involvement and the need for social services involement. On the ward we work closely with the OT, one of the things we look at is equipment to help with energy conservation, as this can help to maintain a patients’ independence. On the ward we have around 28 beds including a 4 bed High Dependency Unit. The high dependency unit has 1 nurse for 2 beds and is mainly for patients who are needing Acute NIV, Tracheotomies who need regular management, patients who have the ability to deteriorate who need escalation to ITU and patients who have reached there ceiling of care on HDU (so they are not for escalation to ITU if they deteriorate likely because their respiratory function is limited due to predisposing lung condition). The sort of patients I have been exposed to on HDU are Spinal cord injuries, Stroke, Neuro-muscular conditions such as GBS , acute exacerbation of COPD, vasculitis and severe pneumonia (So a range of conditions to get stuck into). In HDU all the patients have the ability to go off quickly so you have to keep your eye on the ball, however, it is worth noting that not all of the patients in HDU need physio. For example the patients dependent on NIV who do not have sputum retention normally just need time for their blood gases to normalise so we would hold off unless they need us for mobility Ax. 1. To be able to carry out a Subjective and Objective Assessment on a: i)Critically unwell patient ii)Ward Based patient iii) create a problem list and Rx plan. 2. To be confident using different Rx techniques and demonstrating clinical reasoning. i) Mechanical devices ii) Manual techniques iii) Suction iv) Advice and Education v) Postural Drainage. 4. Prioritisation of a respiratory ward. i) HDU II) Ward Management iii) Discharge planning. Through this rotation I will spend half of my time on the ward with HDU and half of my time on a general respiratory ward. To become on call competent through supervision sessions I am slowly working through my competencies. So far I have been fortunate for the experiences I have gained which will set me up for going on call. However, I don’t think you can ever be prepared for the adrenaline kick of an on call situation. I think the best advice I have been given is always to go back to basics and question why someone has ended up in the situation they are in. What can we have an effect on? And what can’t we have an effect on? 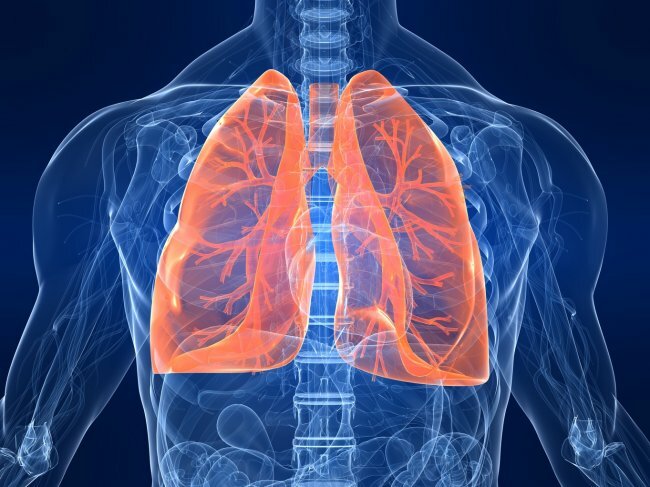 What is the main problem: Lung volume, Sputum or work of breathing or both? (This is how I would look at my patients but obviously everyone has different methods you would also complete a thorough respiratory assessment to reach your conclusion). So slowly but surely my confidence with respiratory is slowly increasing and I am hoping to be ready for the September rota eeeek!! I will try to keep you updated with my progress. So very much away from respiratory physiotherapy. I recently attended a course: The Integration of Strength & Conditioning and Athletic Screening to the Management of the Sporting Client: Recreational to Elite Level. 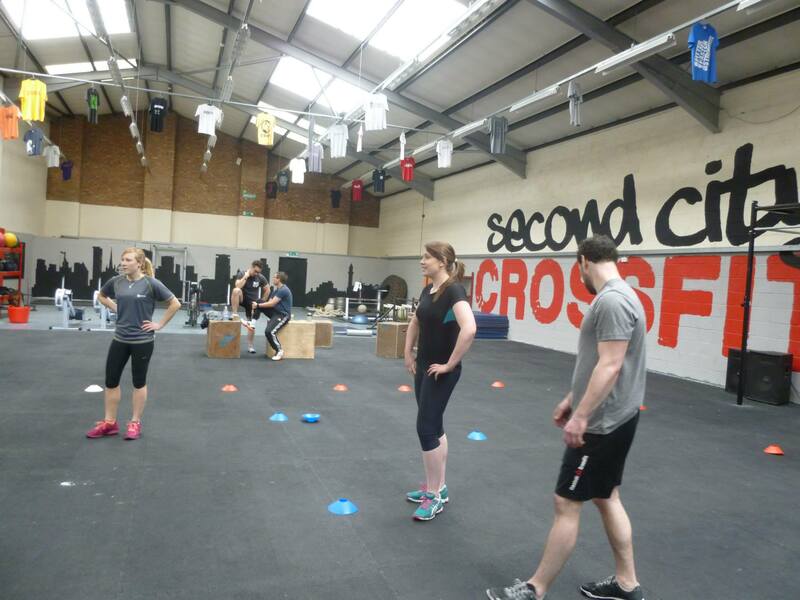 The course was run by Harborne Physio and was taken by Simon Noad (West Brom Physiotherapist) and Ray Jackman (S+C coach based on Uni of Birmingham). I wanted to attend this course because there is a known gap between physio and S+C. We should be working in partnership to help athletes or clients achieve their goals. So I wanted to gain a bit more knowledge of S+C and how this would fit into my practice. Just to say people may have differing opinions regarding this process this is just one example. How I have written this up may be a bit jumpy because I have jumped through different principles discussed on the course. 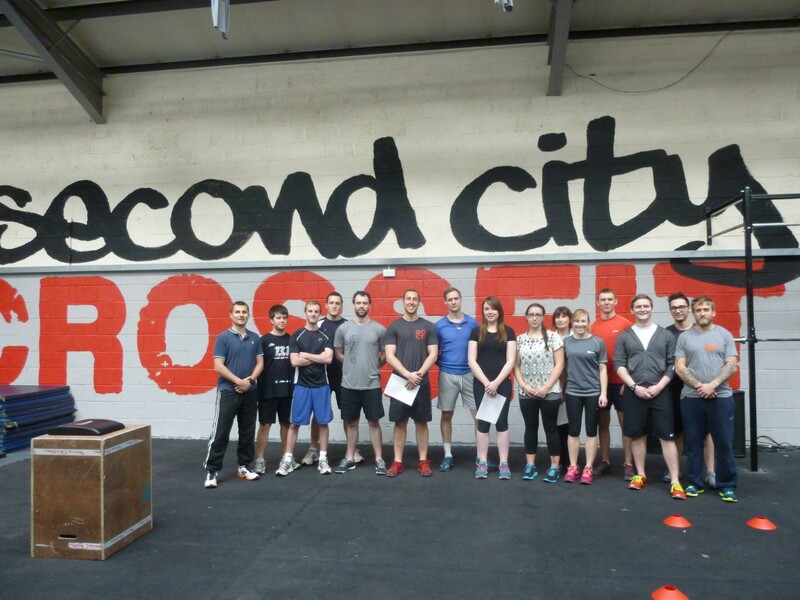 The course was fantastic and it is the first combined S+C/ Physio course in the UK. Simon and Ray were great teachers and explained the principles and practical elements very clearly. The course highlighted that we should be focusing on training athletes not specific “Footballers, rugby players or runners”. The process of S+C is to help develop an individual to perform at the best of their ability.Obviously you will reach a point where you need to be looking at sport specific requirements but we must create foundations first. 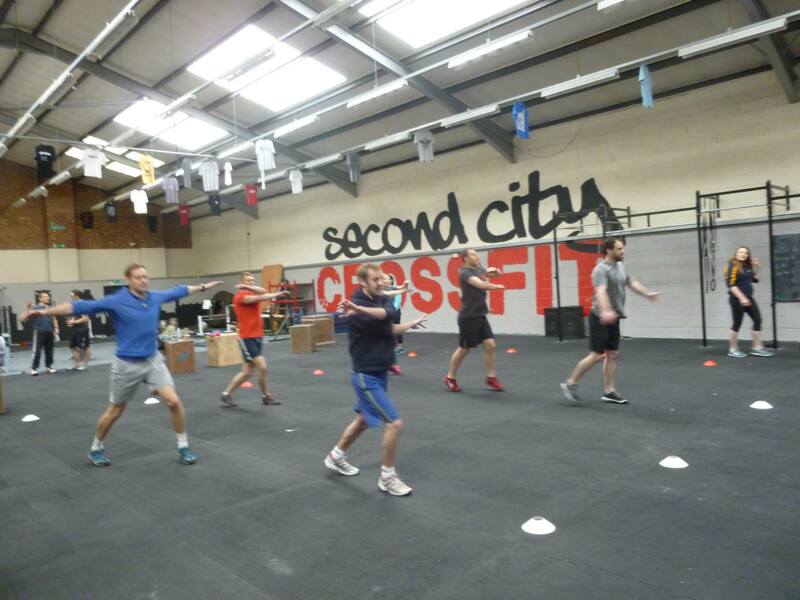 Is the athlete fit to undertake a training regime without breaking down. There are many elements which must be incorporated into a training regime to account for this for example: Nutrition, Speed, Strength, Power, Recovery,RSA, Endurance, Injury prevention, Flexibility, Anaerobic, Research. If we just breakdown recovery we should be looking at: Sleep (10 hours for an athlete), Hydration, Nutrition, Foam rolling, Mobility work, compression, ?Ice Baths so all of the elements can be deconstructed to create a comprehensive Ax and Plan. So back to athletic profiling things to consider? 1: When do we screen:Pre season, End of season, following significant injury, return to training or objective Ax. 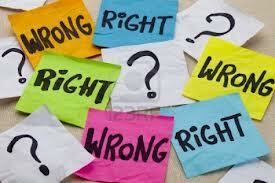 There is no right or wrong answer. 2. Where? : Where do you work, what are you trying to measure? 3. How? : Single station, multi-station, single practitioner or multiple, number of athletes. After devising a plan we should be doing a medical screen, if you do not have medical support. This may highlight risks such as Cardiac problems which may need to be screened. http://www.c-r-y.org.uk/ . If in doubt refer to a Doctor or advise client to seek GP advice. (No your scope of practice). Habits/ Daily activities- may lead to motor control restrictions. This links to Poor training regimes which may cause soft tissue restrictions and finally previous injuries which may lead to movement dysfunctions linking back to habits. Some of the things we may include in a initial screen are a Squat, Lunge, Single leg dip, box drop, forward hop and a combination. We should be marking these against normal movement to pre-empt restrictions and weakness. The testing must be standardised and you don’t have to include all of the movements to get what you want (look at the specifics of the sport). We can incorporate this method into practice to formulate a comprehensive treatment or exercise prescription. It is difficult to demonstrate this in a blog post but basically the rational for this is because quality stability is driven by quality proprioception. And Quality functional movements cannot occur with restriction. So we should be addressing restrictions in RX, fire up the NMSK system and then consolidate learning with functional patterning. After Mobility we can address motor control which is looking at stabilisation working in the new range of movement you have achieved. 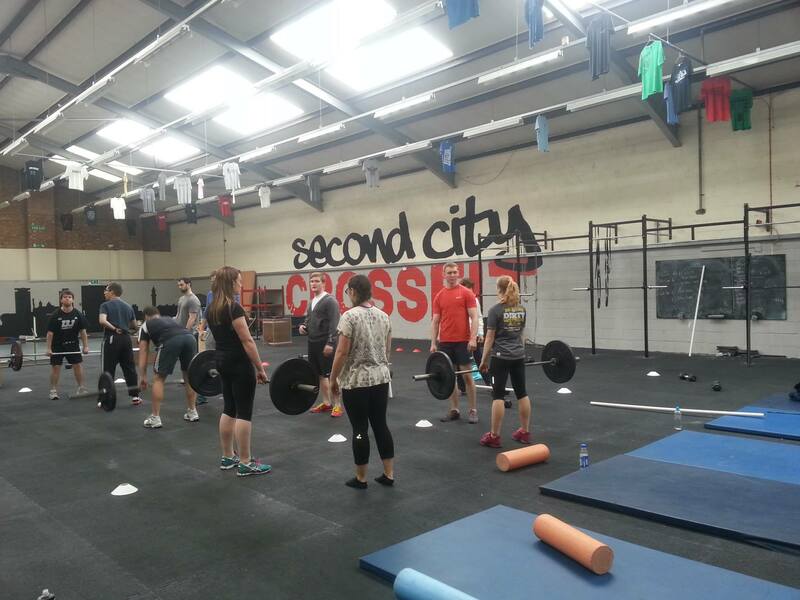 Some of the things which may be included are: Rolling, Dead lifting and chop and lift. This element demonstrates perfectly how much of MSK physio can relate to Neuro physio. Finally we look at motor patterning using new control and range and incorporating them into functional movements. Something people might want to read around is Reactive Neuromuscular Training. Your client should now be ready for S+C training however the whole process falls under the broad umbrella of S+C so there are links between the two, highlighting the need for more integration and a holistic approach. Needs Analysis: Requirements of the sport, movement Ax and Physiological Ax. Warm Up: Raise- Increase HR etc, Activate- key muscle groups, Mobilise- look at movements not muscles and Potentiate- sport specific drills. When, Where and How to conduct an athletic screen and profile. 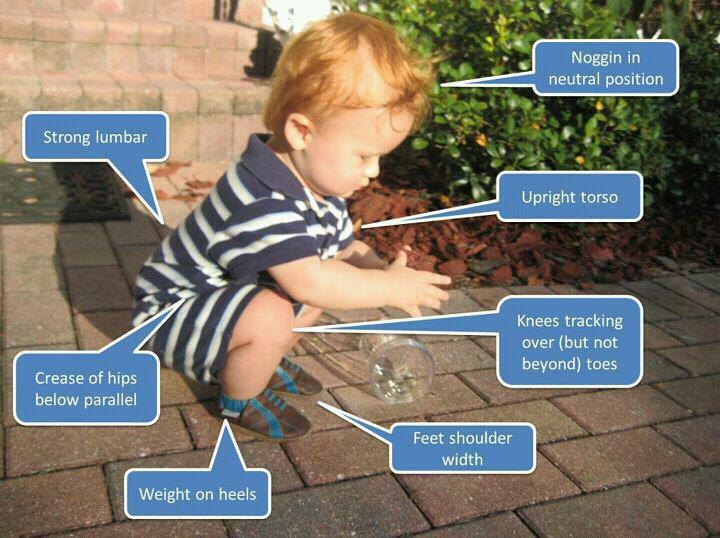 The importance of specific and tailored training regimes. The importance of understanding the needs of your athlete. Thank you for taking an interest in my blog. Next week I will be attending the CSP industrial relations committee meeting at CSP head quarters so my next blog is likely to be centred around that. 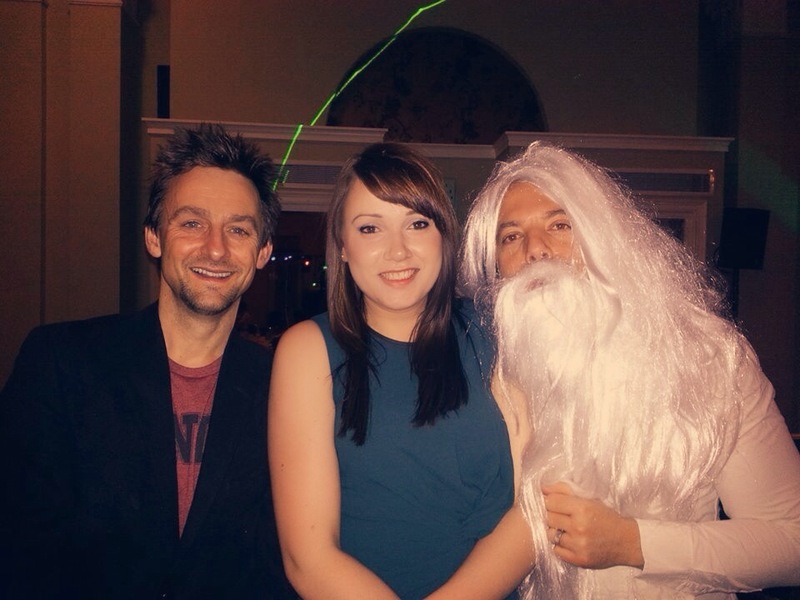 It has been a while again since my last blog! I have been very busy with work, gym and trying to tame a new ex racehorse I have obtained!! Most people who know me know I like to keep myself busy! 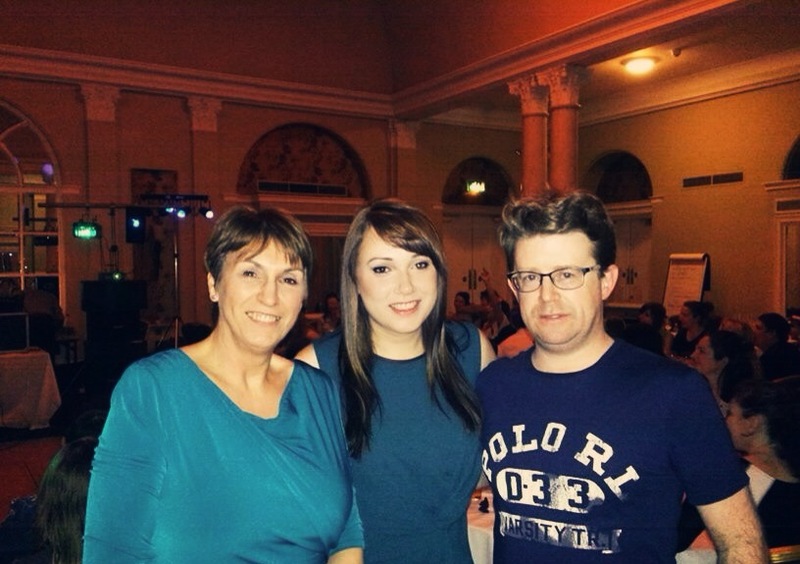 The last time I wrote my blog I had just started my job at Derby Hospitals NHS FT, moving onto elderly medicine. I am now talking to you on my second to last day oN my rotation and I am now going to talk a little bit out my progress and some of the things I have come to realise on my journey! From past experience working at the Queen Elizabeth hospital, on a medicine ward. I had identified I needed to continue to develop my ward prioritisation and management skills to be successful on my new rotation of elderly medicine. It was difficult coming to Derby because having only experienced physiotherapy in Birmingham there were different policies and procedures to follow. For example in the morning we have a daily board round to discuss patients with the MDT whereas in Birmingham we had a weekly MDT meeting. I have found the board round has worked quite well because it creates an opportunity to discuss problems and identify patients earlier who are becoming medically fit for discharge. Although I am from Derbyshire, I never realised how huge the county is, so figuring out where patients are located was initially a challenge however this was made easier with the fantastic nurses completing inpatient rehab forms for us after completing goals (what a luxury!). So I wanted to talk about some of the things I have learnt along the journey which I hope will be useful to all physiotherapists not just students and graduates. My opinions are not gold standard they are just an opinion so please formulate your own clinical reasoning. This is a skill I have really had to refine. In day to day life I am a very organised person however my problem in terms of the ward management were I wanted everyone to have daily physiotherapy sessions. But unfortunately i realised this is not always possible due to the complex busy caseload . I Initially I found it difficult to lead the caseload partly because there was more than one physio on the ward, my supervisor (which is great for learning). So we tried not to tread on each others toes. Further more I also lacked confidence and experience to challenge some of the views of the MDT with regards to discharge planning which hindered my initial development. With the complexity of some of the cases on the ward it took me a bit of time to demonstrate my full prioritisation skills, but over the last 4 months I have progressed to the point of feeling confident that I could transfer my ward management skills to any acute ward based setting. Everyone has different methods for prioritising, but the way I have gone about it in a simplistic view due to the many factors which interplay : Respiratory patients not managing their own secretions, new patients who need a full assessment (prioritising patients who are requiring chest physio and those coming up to be medically fit for discharge), patients who are medically fit for discharge without a plan for discharge, patients at risk of deterioration if they are not seen and finally patients who are being monitored on the ward. Prioritise patients who require assistance of 2 to ensure staffing can match the need in the afternoon. Unfortunately when you want to see patients on the ward most of the time they do not always fit in your specific time slot so you have to be flexible with your management. Don’t be afraid to delegate you are not alone (hopefully). If you work with a physio assistant is there any patients that they could see for you on their own? Is there any admin needs they could complete for you? And finally relax! You can only do what you can do! You are not superman or woman! (although I try to be),,, you are better to complete assessments thoroughly to create a plan rather than coming out of your assessment thinking what information have I gained from that? I have been very fortunate on my ward to work with a fantastic MDT who are very pro therapy to facilitate discharge. Coming onto my ward I initially felt the high bed pressures looming! However, this has encouraged me to devise a plan earlier and ensure I was continuously liaising with members of the MDT to create a discharge plan with the aim of preventing readmission. Working with the Frail elderly you will be presented with some complex cases such as patients at risk of falls, cognitive impairment, patients refusing social services or patients who do not meet social services funding, patients with complex commodities and finally patients with varying conditions. Sometimes you are presented with some very emotive cases and you can feel as though you are playing with peoples lives. From our point of view we can only recommend what a patient should do to maintain there safety. However, if patient has capacity to accept risk or go home ignoring recommendations then that is their choice to make. We should be facilitators not dictators. I sometimes felt quite stressed with some of the situations I was faced with, with some patients being border line whether they are safe at home or not. However that stress is important because it ensures I am conscious of my decisions to strive for the best care for each individual patient. I think if you don’t have some form of internal stress and are going through the motions in your job this may come back and bite you in some point of your career. For patients we should be assessing them holistically and taking a 24 hour approach to theIR discharge…. Are they able to manage hygiene needs between care calls? Are they able to sit between care calls? Do they have any pressure sores? Do they have a cognitive impairment? Are they safe with there mobility? Are they able to complete bed/chair and toilet transfers? and finally Are they any safety hazards or risks for the patient returning home? These complex discharges cannot be completed seamlessly without an MDT approach so get to know your team and start communicating! Working with colleagues and other agencies: I demonstrated this through a complex case study with a reflective piece and copies of some of my record keeping demonstrating liaison with different members of the team. Written Communication: I demonstrated this by taking 5 sets of notes and analysing what was good and bad about them. Using Local and clinical policies relating to working practice: I completed a reflection on infection control and completed a notes audit for the team. Aside from my preceptorship I was set rotation objectives which interlinked with the programme. It might be a bit geeky but lets face it not many people spend time to document their experiences like me anyway ,but, the preceptorship process really did hone my reflective skills which will support a career long commitment to reflection and CPD in future practice. I have loved my time working with the elderly medicine team and I have had ample opportunities to develop my clinical reasoning, prioritisation and overall ward management. I now feel confident that I can transfer these skills to another acute ward based setting, to deliver a quality service to my patients. It was fed back to me that I sometimes set my expectations too high of myself. This has been the case for many years but it is the driving force which allows me to strive for the best. On the other hand, I realise that it is important to get the foundations right first to develop a solid base for development and that there is no need to rush, at the end of the day I am only still in my 1st year of graduating :-S! Action Plan and the Future. So in the pipe line for me…. next Tuesday I will be starting on my respiratory rotation (eek), I have completed the 2 week intensive training given by the trust so it is now up to me to get my head in the books to get my head back into respiratory management! Aside from this you may be aware from my last post I wanted to find a mentor to help refine my leadership skills…. well I am pleased to say I have found one and not just anyone. Sarah Bazin OBE has happily agreed to help me and we will be meeting next week :-). Sarah is the current chair of the European Region of the World Confederation for Physical Therapy (ER-WCPT) so I am honored to be working with her over the coming months! I think that will be enough to keep me going for now. Thank you for taking an interest in my blog! Please feel free to leave a comment or Tweet me @LCphysio . It appears I have been absent for a month or so from the blogging scene, so it is nice to finally have chance to sit and write a new post. On my last post I was just starting my new permanent rotational band 5 job in Derby. Taking on a new job is an exciting and scary time and I did wonder whether I had made the right decision….will I slot into the teams, will I enjoy the rotations, how will I cope with a bigger commute and will I drive myself mad living back at home with my parents? All I can say is so far this post and my current situation has been far from a disappointment. We make our own luck and certainly everything appears to be falling into place. So where to start…. My first rotation is on elderly medicine which is due to finish at the end of April to move to respiratory medicine and on call training (eeeeek!). I have felt so welcomed within the teams at Derby Hospital and they have really been pushing my personal development and quality of care for patients. I have now begun the Preceptorship process and regularly meet with my supervisor to plan and take action on future aims and objectives. My objectives on this rotation aim to cover 4 tasks set by the preceptorship programme (which a scheme to create a seamless transition from Student to Band 5 physiotherapist minus the 6 month incremental pay!). Task 1: Working with Patients and Groups. 3,2,1. Task 2: Working with Colleagues and Other agencies. 2,4. Task 3: Written Communication 2,3. Task 4: Using local Clinical Policies relating to working practice. – Identifying risk and creating a follow up plan. Carrying out a notes Audit. The numbers following each task, cross reference to my objectives which I will use as evidence for each task. 1. i) To be able to identify appropriate patient’s for humidified Oxygen. ii) To be able to set up a humidified oxygen circuit independently. 2. i) To be able to explain the range of rehab options for any given patient. ii) Identify the most appropriate referral. iii) To be able to complete a timely referral. 3. i) To complete a comprehensive + patient specific new Ax. i) To create a specific and comprehensive problem list. ii) Treatment Plan. iii) Smart Goals. 4. To lead case load management on ward, delegating to BS/ PTA’s and other qualified members of staff. 5. Present an in-service training session for the therapy team. NB: How I will evidence this is recorded in my Portfolio. This just gives you an idea of the sort of things I am looking at as a Band 5 physiotherapist. I plan to update my progress post rotation…. What I would do differently? Are there any other objectives I should be including? What went well? And what am I hoping for in my next rotation? Since starting at Derby I have been given the opportunity to continue my work for the CSP as I been selected to sit on the Industrial Relations Committee as the Newly Qualified Rep. The Industrial Relations Committee (IRC) have special responsibilities in relation to decisions on Pay, Terms and Conditions. Members of the IRC have Leadership and Governance roles to support CSP members. This may involve inspiring, engaging and empowering members in relation to the work of the IRC and wider trade union issues and campaigns. In brief the IRC aims to consider all matters and develop policies and strategies, relating to salaries, employment, labour utilisation and conditions of service for Chartered Physiotherapists, Associates and other persons represented by the Society. to see if this generates some interest. I would like New grads to come forward with any issues affecting them in the work place (NHS or Non NHS), which they feel needs to be taken further than Steward and H&S rep level. Local issues can normally be resolved through Stewards and H&S reps. However, if a problem is of a national scale or you feel other New Grads may be facing a similar situation please get in touch. New IRC Chair – Jill Barker elected as new IRC Chair. IRC paid warm tribute to outgoing chair Alex MacKenzie. Wider Environment – Important to track what’s happening in the wider economy. Changes to benefits, public services, living standards etc. All impact on profession and patients. Lobbying Bill – now passed by Parliament. Strenuous campaigning secured some improvements, but still a big step backwards in terms of democratic rights. CSP to assess how best to mitigate the impact on our ability to lobby and campaign on behalf of members. Pay Review Body (PRB) recommendations on this year’s pay lift, and the Government response, now expected in March. Also likely to be big challenges ahead, issues such as incremental progression. Changes to Agenda for Change terms and conditions in Wales to go out to member consultation once position re doctors clarified. While not welcome, they represent a significant shift from those originally proposed. First report of joint employer/union working group on implications of staff working longer due out next week. CSP represented on the group. Competition – new cross-CSP group to be set up to steer CSP’s future work on competition, including learning lessons from early initiatives. Outcome of current negotiations on an EU-US trade treaty could have big impact. 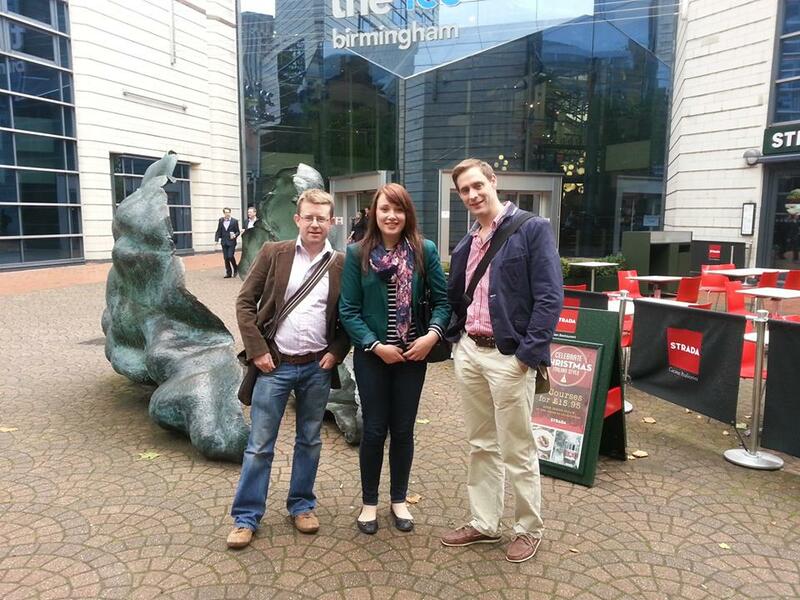 TUC lobbying making some headway in ensuring public consultation on treaty takes place. Safe Staffing Levels – CSP employment and professional functions working together on key issues for profession raised by the Francis report, in particular guidance for members on safe and effective staffing levels and the duty of candour. TUC ‘For a Future that Works’ campaign – IRC agreed to support next major national demonstration planned for October, and to encourage maximum member participation. Also to support the new Robin Hood Tax petition and video. Aim of both initiatives is to present the practical alternatives to austerity. Rally’s are a way of organisations/unions showing solidarity on a campaign. Organising – formal CSP recognition secured at the Percy Hedley Foundation in the North East. Welcome precedent. New briefing on CSP employment services for members working outside the NHS in preparation. NB This is only a snapshot of the meeting and the comprehensive range of papers tabled. If you want something go after it! Don’t wait for something to happen, go make it happen. Simon Shepherd brought this to life talking about his life story. “Take a chance, don’t make a plan”, following Karen Middleton’s interview on her career from Student to Chief Executive, it highlighted that we should be flexible in our career path and grasp opportunities made available to us. She talked about pushing the boundaries of her work by working out of her comfort zone. She demonstrated the ability to develop coping strategies whatever she turned her hand to. (Note this is my interpretation of the interview). Aspire to be the best you can be. Set yourself Goals and write a mission statement. Network, Network, Network a useful place to start in Linked IN or Twitter. Networking can open many opportunities start now. Remember you are upholding your profession on Social Media Platforms. Mitigate the risks and engage! Learn about power poses! http://www.ted.com/talks/amy_cuddy_your_body_language_shapes_who_you_are.html how can you implement this into practice? I always come away from each Student Rep Development weekend feeling truely inspired by leaders of the profession, the speakers and the energy from the student reps. Physiotherapy is such a dynamic profession and the more I put in the more I get out. To learn more about motivational interviewing and power poses. To find a mentor to help me to refine my leadership skills. Below are a few photos from the event. The end is only the beginning! Merry Christmas everyone!! Well how quickly time fly’s I feel I have only just started a new post and I am now moving on. On the 6th of January I will be starting my new permanent band 5 post at Derby Hospitals NHS Foundation Trust and I can’t wait! As promised I wanted to give everyone an idea of what my first experiences were as a band 5 . I have been fortunate in some respects because although I have not yet completed a full rotation, I have had 2 mini ones, which has meant I have seen and learnt a lot in a short space of time. The downside to this is I have learnt a little about a lot and I now need to build on my experiences to progress my development. So starting from the beginning my first rotation was on Critical Care Rehab. It was difficult coming onto this rotation as it had only just been made available to band 5’s and it was ideally suited to someone who had done a rotation on ITU previously. Luckily for me I had been on the same area as a second year student so at least I knew some of the team. The rehab team mainly worked with patients who had been ventilated for more than 10 days or who were likely to be a slow wean. Due to me not having completed my respiratory competencies it was difficult for me to be just given a caseload and the majority of patients we were working with were complicated rehabs. At the beginning of the rotation my senior and I set realistic objectives to be achieved by the end of the 6 weeks (It was almost like having another placement except I was qualified and no one to countersign my notes). To be able to carry out a basic baseline respiratory assessment of a ventilated and non ventilated patient. To have an understanding of the complex needs of critical care patients during and post admission. To be able to formulate a problem list, treatment plan and goals for rehab patients. To be able to develop competencies on specialist equipment. It doesn’t seem like I had many objectives but I had to be realistic in the time I had. Throughout the rotation I was fortunate to attend weekly in service training, one to one teaching sessions with my senior and I was able to observe more senior physiotherapists in practice as well as treating my own patients. I found the one to one teaching sessions very useful as it gave me the opportunity to clarify points in my own mind. When initially setting my objectives I was asked on a scale of 1-10 how confident I was in carrying out a respiratory assessment which I answered 4/10. I find respiratory quite difficult because the problem is internal and not particularly visual. However following completion of my rotation I am now able to take a backwards step from my patient and work through my assessment systematically. 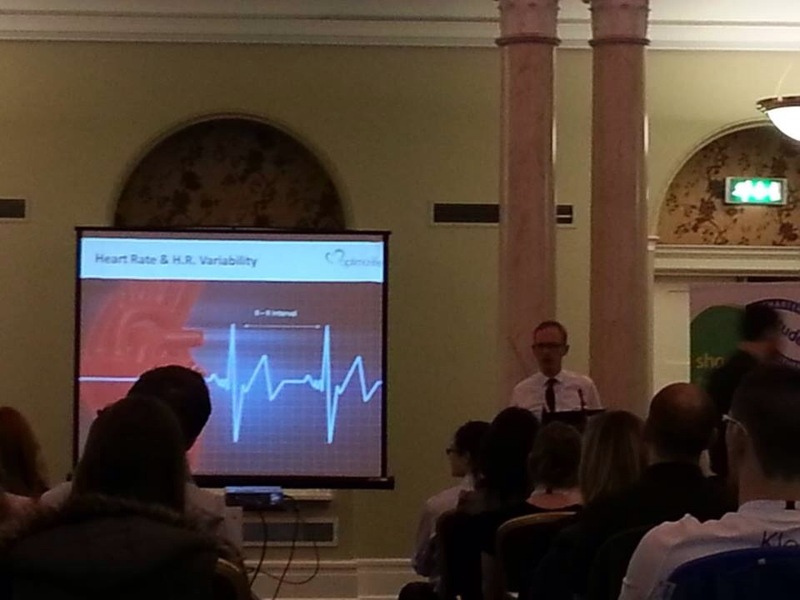 Firstly what has lead the patient to end up on critical care? If they are post surgery did they have any risk factors pre- surgery i.e. Past medical, smoking, obesity, trauma, previous exercise tolerance. Were there any complications during surgery? Were they an emergency admission and is there any contraindications to my treatment? So this is the sort of stuff going through my mind before even reaching the patient. Next I would spend time to read the notes thoroughly to see what lead them to be on critical care. After reading the notes you can already hypothesise reasons contributing to the patients condition. So what can we help with? Analgesia for pain and assistance with supported cough. Sputum- ACBT, manual technique, suction etc.. So we have a few things we can adopt as treatment options and this list is not exhaustive. Presenting Complaint- what did they come in with? History of presenting Complaint- why did they end up on critical care? Past medical history. Is there anything relevant which will affect their PC? SH- What was there pre-admission state what support do they have at home? What has been said by the MDT or any critical events? Cardiovascular system: Blood pressure,Heart Rate, CVP and MAP . Are they stable does this restrict or treatment? Respiratory- Method of ventilation what support are they using? Why are they on this mode? Respiratory rate do they look distressed or have increased Work of Breathing? Why do they have increased WOB? Oxygen Saturation. Why are saturation’s low? is it due to shunt? diffusion problem? V/Q mismatch? hypoventilation? Arterial Blood Gas . What does it show? What is compensating if any? Renal- Urine output and fluid balance. Are they in organ failure? Are they overloaded with fluid? IV drugs. Is there blood pressure or heart rate being supported? Are they sedated? Do they have an epidural need to be careful of postural hypotension. Abdomen- is the gut absorbing nutrients? Is the abdomen distended? Auscultation- Air entry? Added sounds? tactile fremitus? Thoracic expansion. What is the problem? What are your treatment options? What is the patient limited by? What were the results of the treatment? I have not attempted to go through modes of ventilation and treatments as I could write for days but a clear understanding of the reasoning for different ventilator modes and treatments in essential to formulate and clinically reason an appropriate treatment plan. So the above is the method I would use to assess a respiratory patient. By being systematic it means you are unlikely to miss something critical as a band 5 and with experience your clinical reasoning will become stronger. So in summary of my first rotation I can now say my confidence has gone from a 4/10 to a 7/10 however, I think I would benefit from having a further rotation on critical care to consolidate my learning. From completing my rotation I am now able to perform multi system assessments of ventilated critical care patients to generate problem lists and appropriate plans for treatment. I have demonstrated effective skills in the respiratory treatment of ventilated and non ventilated patients. I have also gained experience of treating longer term ventilated patients, developing rehabilitation programmes and acting as the patient’s key worker at weekly goal setting meetings. Red= Acute respiratory, Discharges, Falls. Amber= new patients, patients who have had a decline in mobility or those requiring ongoing rehab. Green= Patients safe with or without aids being monitored. Effective prioritisation of medical caseload using prioritisation tool. Timely and Seamless discharge planning or patients in line with multidisciplinary team goals. Appropriate referral to other services and MDT. Appropriate use of physiotherapy paperwork and documentation in line with CSP and trust standards. Again my objectives would be a lot different if I had been working on the area for 4 months but I had to be realistic to get the most out of it. Through the 4 weeks I have developed my skills in prioritisation ensuring all patients were seen in a timely manner, I am able to contribute to MDT meetings and I have referred patients on to relevant services. Again I believe I need another ward based rotation to consolidate my skills but I feel in the short space of time I have achieved the objectives I have set. If you have a complicated patient don’t be afraid to ask your senior to review them with you remember you need to be within your scope of practice. Don’t be afraid to say no if people are putting too much responsibility on you straight away or you are feeling overwhelmed. 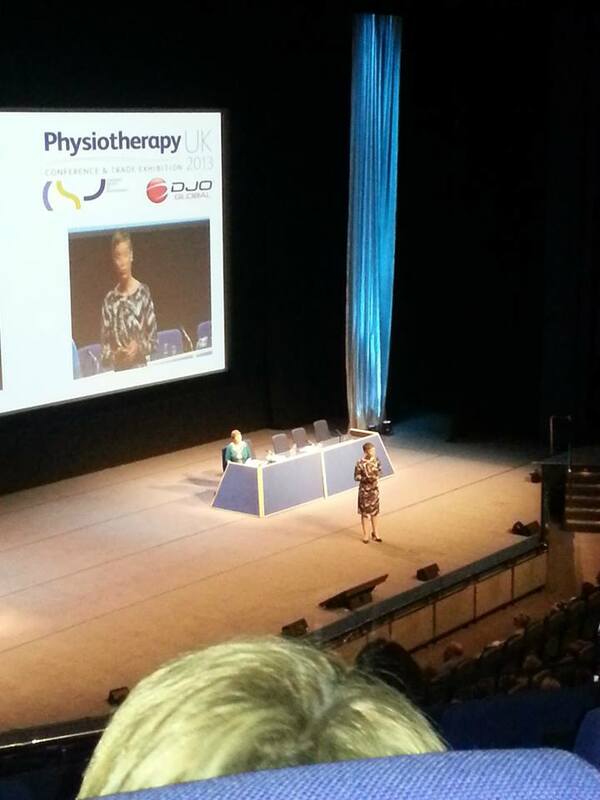 Take up opportunities to observe more senior physiotherapists. Make sure you read patient notes thoroughly to carry out an effective assessment and treatment. You don’t want to cut corners. It has been a while since I wrote my last post. I have been very busy since starting my new job at the Queen Elizabeth Hospital Birmingham and I have also continued to work at West Bromwich Albion FC and Harborne Physio at Barefoot Birmingham. So I have barely had time to sit down never mind write my blog. As you may be aware from my last post my first rotation has been critical care rehab which has been incredible. I have been able to see some of the long term rehab patients who are ventilated and non-ventilated and I am getting to see some of the post operative patients which all will stand me in good stead when I come to complete my respiratory competencies. It has been great to get stuck back into respiratory as I only had the one placement in my second year and everyday my confidence is building as the team I am working with is great!! 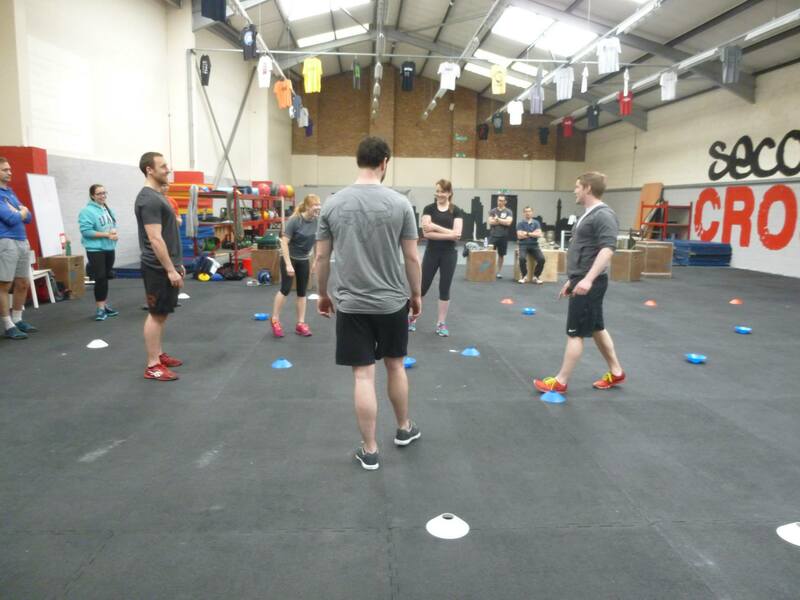 We do a lot of doubles together, teaching sessions and in service training. We have had some extra movement in the trust and I would like to offer you a permanent contract at Derby Hospitals…..
At this point I read the email about 50 times before I made sense of it! Due to my interview being within 3 months they could recruit me straight away! Of course at this point I accepted but was wary that a permanent post was coming up at the QE so I was still hopeful to remain in trust so I attended the interview to give myself options. I turned up at the QE interview consciously fine, I went in sat the written paper which asked questions on Chronic non-specific lower back pain and what the management would be? Prioritisation of a list of patients, a respiratory patient assessment, treatment with relation to the on call rota and another question which I can’t remember. I came back to sit down after the paper feeling relatively calm and waited to be seen for the individual interview…. I was being interviewed by the head of therapies and a band 7. I went in and the first few questions were absolutely fine and then it hit me….. My nerves suddenly took over me and I couldn’t physically speak the further questions weren’t particularly ambiguous and if you had asked me later that day I could have gone on for hours but instead I felt like I was outside my body looking in and couldn’t do anything to help myself…. So unfortunately I can’t recall any of the questions from that interview and you can guess I didn’t get the permanent contract…. however they were very understanding of how much the job meant to me on the day and did extend my contract if I wanted. Now for most people this would be a simple decision to take the permanent contract, but for me not so much. I really had to sit down and right the pros and cons of each hospital and location which did keep me awake most of the night. In the end I chose the permanent contract although I have settled into the QE and I love the hospital I had to be selfish in thinking about my further development…. so I opted for continuity. So as you can imagine I am ecstatic!!! I am now a proud owner of a permanent band 5 contract and all the events and opportunities that have lead to this day have sometimes been hard but totally worth it in the end. I just wanted to say that if you are newly qualified physiotherapist looking for an NHS job don’t give up! I have had several interviews which have been unsuccessful but you can’t take it personally and you have to move on to the next one. Eventually something will come your way and it will be the reason you didn’t get the previous jobs you applied for, because everything happens for a reason. 1. Read the PERSON SPECIFICATION….. this is the point all managers come back to that applicants haven’t done what they have asked. Sometimes there will be hidden questions to how they want you to approach the application. Basically don’t give them a reason to turn you away, use buzz words that are included in the person spec. 2. Make it personal to the trust, show them how you meet their vision and values if you don’t do this you might as well not even submit your application. 3. Demonstrate your transferable skills. If you have been involved in other activities outside of physiotherapy… what skills have you developed and how can you transfer them into practice. 4. Include your HCPC number and CSP membership number at the top. This means the recruiters don’t have to look through your application when it is staring them in the face. 5.Make sure you review the NHS jobs website daily. The website sends emails of new jobs at the end of the day not when a job goes out. 6. 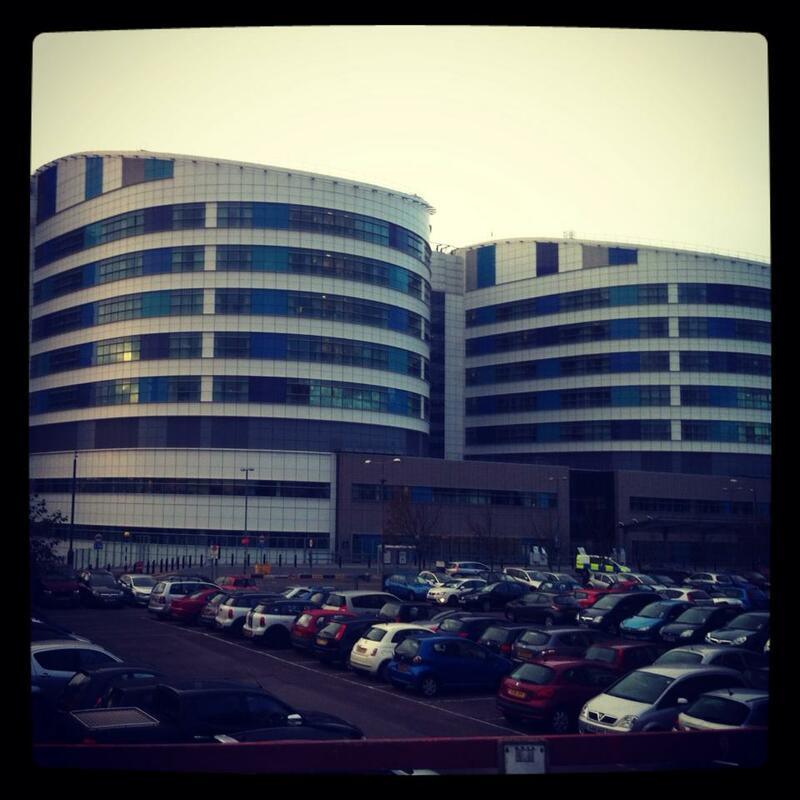 Get your application in early some NHS jobs can close within a couple of hours like the QE. Have a basic template for your application ready so you are ready to go when the job goes live. 7. Don’t make it any longer than 2 pages A4 treat it as a CV otherwise the recruiters will get bored if you are not keeping everything concise. 8.Attend interviews that you don’t want, you might change your mind when you get there and have a look around (and lets face it we can’t be fussy). Try and book an informal visit before the interview as this is something you can talk about during the face to face interview if you have one. 9. Prepare but don’t over prepare. Try and practice questions by answering them out loud as this is how you will be responding in the interview. But try to relax at the end of the day it is not the end of the world if you don’t get the job, nobody died and it is their loss. 10. Finally take in your CPD folder and make it relevant to the post you are applying for, that way they know you are dedicated to that specific post. I can’t give you any real tips for interviews as they are all different but it is a skill you do develop…. so if you have a shocking one don’t beat yourself up about it. Below I have posted one of my applications with the name of the trust removed, I hope some of you may find it useful. Full member: Chartered Society of Physiotherapy. As a very enthusiastic, driven, and dedicated person I believe I would provide a valuable contribution to the teams within X Hospitals NHS Foundation Trust. I believe X Hospital would facilitate me to achieve excellence, whilst allowing me to gain a firm grounding for a successful career in physiotherapy. I wish to emulate the trusts vision of “……”. I believe I am a very personable, polite and enjoy taking the time to take a holistic approach with my patients. I feel the best outcomes are achieved when patients feel empowered and listened to. On clinical placement one of my patients lacked confidence and I felt by taking the time to understand their goals, this aided my treatment and their outcome. Conversely, I had a situation where I had to break bad news to a patient. The gentleman was likely to remain wheelchair bound due to him demonstrating no improvement over several months. Although I was presented with the harsh reality of stroke, the process was made easier due to the patient and family trusting me as I always aimed to answer any of their concerns and provide information when they required. Through clinical placements I have been fortunate to gain experience in Intermediate Care, Acute Stroke, MSK x 2 and Orthopaedic Outpatients, Intensive Care at a major trauma centre and Elderly Rehabilitation. During this process I have been able to demonstrate my strengths in communication, time management and ownership of my own caseload, whilst also ensuring I am providing patient-centred care. This has been evidenced by feedback from my clinical educators in my CPD portfolio. On my last two placements I demonstrated safe, effective and autonomous caseload management in an inpatient and outpatient setting. In both cases I was responsible for discharge planning and referral to appropriate services following MDT meetings or by written communication. I have been able to successfully demonstrate this through positive feedback received from educators, patients and from the wider MDT. Clinical placement has allowed me to develop my problem solving skills. This can be demonstrated from my experience on intensive care. Coordination of care is essential in all settings; however, in intensive care it is vital due to patients being prone to fatigue. To ensure the MDT were working in a coordinated way I helped to implement the idea of writing a treatment timetable. The timetable allowed for patients to feel empowered by them deciding when they wanted to be seen and it allowed staff to work together efficiently. Data protection and patient confidentiality is a requirement for any practicing physiotherapist. I have demonstrated my awareness of this in my portfolio following completion of information governance modules: Patient Confidentiality, secure handling of confidential information and Records management and the NHS codes of practice. At University I have maintained my manual handling training which I have applied to a practice setting. An example of this was when a patient had slipped out of her chair. To resolve this I autonomously worked with a physiotherapy assistant and used a slide sheet to ensure safety and dignity was maintained by the patient. With the new changes being implemented in the NHS, it is important for physiotherapy services to provide evidence of positive outcomes. In light of recent failings in the NHS, it is essential for a practicing physiotherapist to adopt clinical governance to ensure patient safety remains the priority. Furthermore, I understand I have a personal responsibility to provide a clinically effective service by basing my practice on evidence and working within my scope of practice. As part of my elderly rehabilitation placement, I conducted a documentation audit using the quality assurance tool and presented this to staff. The audit highlighted shortcomings in record keeping which needed to be addressed, as it had the potential to impact patient outcomes. If I was to gain this post, X NHSFT would gain a physiotherapist dedicated to the profession who is flexible, proactive and who takes a positive approach to managing change and challenges. 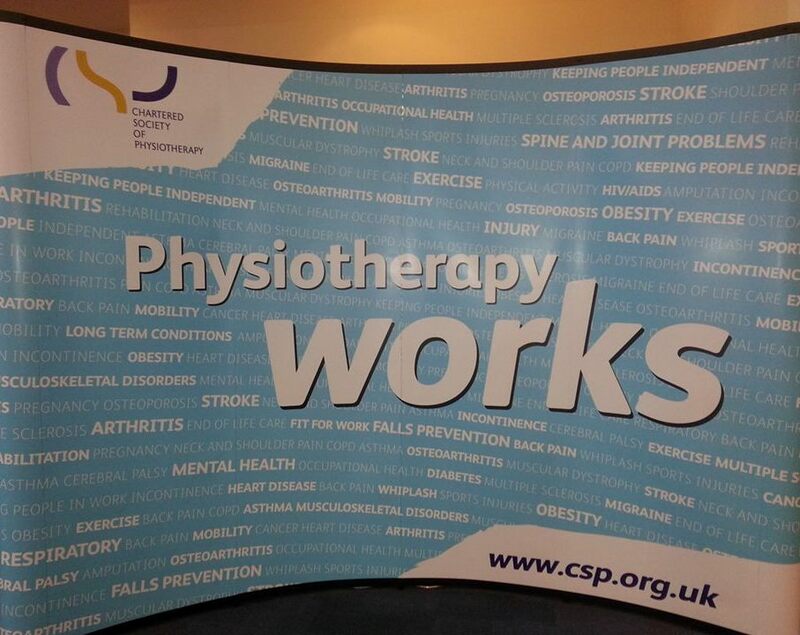 Alongside clinical experience, I have been an active member of the CSP. For the last 4 years, I have been a student representative and I have served as Midlands Regional Coordinator for the Student Executive Committee (SEC) from 2011-2013. This role required the ability to organise and coordinate meetings between student reps at Coventry, Keele, Nottingham, Leicester and Birmingham. The meetings discussed relevant physiotherapy issues within the student population and ensured student input was applied to the wider society. Through this role, I have had the opportunity to present at conferences, contribute to policy, sit on the West Midlands Regional network and set up an Unemployed Graduate Scheme. The scheme was set up by myself to provide free evening CPD lectures for new graduates who were in the transition between graduation and employment. These opportunities have allowed me to develop my leadership, communication, organisational and presentation skills. My contributions to the society have been recognised this year as I was nominated and received highly commended CSP student representative of the year 2013. I am an active learner and seek out any opportunities to further enhance my professional development. An example of this was applying to work with the University Rugby League team as their pitch side support .To enable me to take on this position I had to complete a pitch side first aid course and show further evidence of CPD activities related to the post. During this role I have had to work alone in high pressure situations which have enhanced my lateral thinking skills. I have had to negotiate with players and coaches on a regular basis to ensure players who were unfit to play remained on the side line. This role has highlighted my diplomacy skills to achieve ‘win win’ situation. Outside of physiotherapy I have a passion for horse riding, which has continued through University. For the last 2 years I have been elected as 1st Team Captain, for the University Equestrian Club, and I have represented the University at British University and College Sport over the past 4 years. This role has enhanced my leadership and teamwork skills and has demonstrated my dedication to activities I am involved in as we were crowned national champions in 2013. I enjoy being challenged in my work and I believe that physiotherapy should remain a seven day service for the benefit of the patients. Recent news discussing how patients who have elective surgery on a Friday are more likely to have complications highlights this. I would be willing to be flexible in my work as I believe my time management skills have ensured I can create a work life balance, evidenced by my commitment to my hobbies. As a newly qualified graduate, I am aware of my scope of practice; which includes recognising personal weaknesses and critically appraising my performance and learning. I welcome the opportunity to discuss cases with colleagues, to share best practice and further develop my clinical reasoning skills. I am excited about the new learning opportunities X NHS trust would bring. Thank you for this opportunity and I look forward to hearing from you. And that is really it I hope to keep you all updated with my progress as a new band 5 at Derby. Thank you to everyone who follows the blog, the support has been great and has really kept me going when times have been tough. Take a chance rather than make a plan! For the last couple of days I have been at Physiotherapy UK. It was a fantastic conference but I must say I am quite happy to be now on the sofa writing this in front of X factor! This post is going to hopefully give an insight into some of the talks I went to and maybe inspire people to attend next year. The problem I find every year I go to Physio UK is I want to see everything so its difficult to make a choice on which talks you go to see especially since I haven’t really specialised in a specific area yet. However it really makes you a appreciate the power and diversity of our profession! For those who haven’t been to Physio UK lectures go on throughout the day but there are also lots of trade stands (lots of freebies to be had!) and opportunities to network. The first day kicked off with the Founders Lecture by Dr Emma Stokes! It was such an inspirational start to the day, the thing that stood out to me was the statement “Take a chance rather than make a plan”. This is so true we create our own luck and you really just have to latch on to any opportunities that come your way(This blog is credit to that) . Take a chance even if you can’t see where it will take you because then looking back you won’t have to say what if…. I think the other main point to take from the lecture was that we need to allow ourselves time for creative thought. Sometimes as physios we make ourselves so busy we don’t have time to open our minds (I am one to say I need to make time for myself sometimes). Please find the link for a further summary of the founders lecture. http://www.csp.org.uk/news/2013/10/11/physio13-founders-lecture-calls-physios-think-creatively You can also follow Emma @ekstokes and watch out for her up and coming blog!! Just to highlight that this is my interpretation of the lectures I went to see as I don’t have the slides in front of me and I will only be covering a select few to keep everything concise. Each one will have a title so you can pick and choose which you read if you wish. I have not read much about tendinopathy except for my undergraduate training and a few odd posts from twitter but this lecture gave a really good view of current practice and where we need to take it in the future. Now this was a surprise to me but a third of people with tendinopathy are sedentary! I had always assumed that running or elite sport were contributing factors. Progressive loading- based on theories of mechanotransduction probably. This load needs to individualised to the client so it is appropriate and needs to be slow. Conservative management of mid-portion Achilles Tendon. Reasonable strength, high load- Rx: isometrics- reactive stage. Eccentric exercises, con-ecc, power. Reasonable strength lower loads-Rx: eccentric exercises, concentric- eccentric, Strength and Endurance. focus should be to get them moving I missed this part of the slide but Rx: Concentric eccentric exercises. Tendon Loading- tendon loading= tendon health. Potentially need to avoid casting to allow for appropriate loading to take place. RSWT- Radial shockwave therapy. The ASSERT trial showed immediate and long term effect with shock wave. Diagnostic suspicion- need to be aware of Intra-tendinous Tears this may be seen in younger, athletic people, presenting with impact related pain who fail with eccentric loading. Another would be Fascia Cura Tears as above but a subtle difference in client group. High volume image guided injections- reduce pain and allow for loading. So what should be our potential treatment time line? Stick with the manual therapy- i.e mobilisation, massage etc. RSWT or HVIGI if the first doesn’t work try the other a couple of weeks later. It is not until 20 weeks you would be considering minimally invasive surgery and 24 weeks for open surgery. So the biggest thing to get across is surgery is normally a last resort! The incident of mid portion Achilles Tendinopathy in the general population is Prox: 9-25% Mid-portion 55-66% and Insertion 20-25%. Patients are normally quite good at locating the problem subjectively during an objective assessment. The main thinks to look for during objective assessment are a gap in the tendon, compare alignment and squeeze calf. A treatment Algorithm can be found here http://www.ncbi.nlm.nih.gov/pmc/articles/PMC2658946/#!po=28.1250 which links to the main article http://www.ncbi.nlm.nih.gov/pmc/articles/PMC2658946/#!po=28.1250 by Alfredson (2007). Percutaneous- Day case, the problem with this is pain normally returns. Tenotomy- open debridement sometimes with plantaris release. All of this is all well and good but you now need to select your patients. Do they need to return to sport or work quickly. So like with any surgery the risks and benefits must be weighed up as some patients may still be in pain post surgery. LTC- Prehab, self management and integrated care. 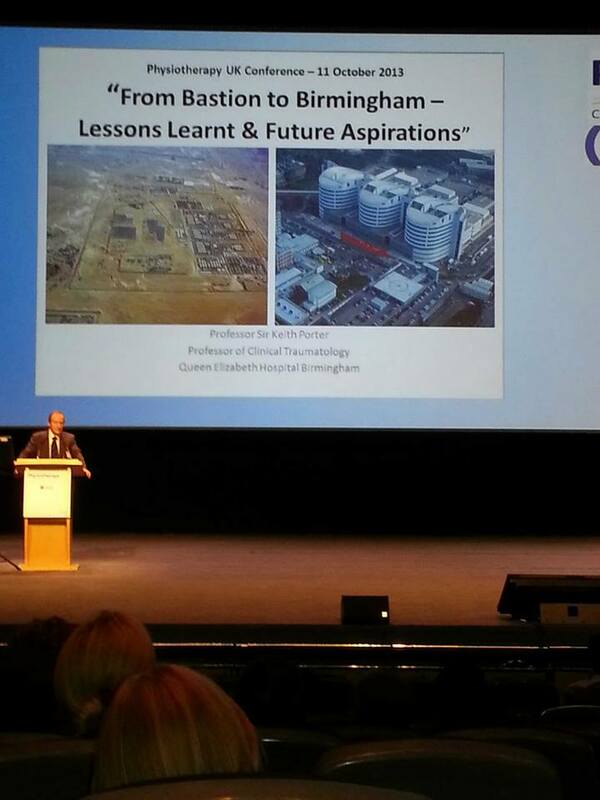 I have to say that after this talk I was so unbelievably proud to say I work at the Queen Elizabeth in Birmingham, especially now I am currently working on intensive care. The talk was based on the fact that a trend had formed where on matched injuries the military appeared to have better care and outcomes for their patients. At the point of injury the main thing integrated into the military was the self help and buddy help so the soldiers knew what to do in time of crisis. It is a real shame this didn’t go through as part of the national curriculum as teaching people early may mirror the training of military personnel. First Responder- who will typically have to still wait for an ambulance to arrive for serious cases. Ambulance who can either be manned with a paramedic+emergency care assistant, technician + emergency care assistant or voluntary aid. In the military emergency department there will be an emergency 24/7 consultant who is exclusively trauma. There are dedicated theatres and a massive transfusion policy (there has been shown to be a reduced mortality in patients receiving the transfusion policy). At the moment places like the Queen Elizabeth are trying to mirror this in hospital. Damage control resuscitation is then implemented. This is to prevent a secondary hit from Systemic Inflammatory Response Syndrome. So in resuscitation medics will be permissive of hypotension, blood products will be given for volume and surgery will be limited initially. The more critically injured you are the bigger capillary leak you may have which may lead to multi organ failure through second hit SIRS. More than 10 units of blood. achieve soft tissue cover and stable skeleton. So overall the conference was great, I got to network with lots of physiotherapists, students and companies (which is another key reason to go to Physiotherapy UK and for students your University normally has a few funded places so take advantage whilst you can). It was great to catch up with some of the main physios on twitter to finally but a face to their name and it is likely that I will be returning next year. I am sorry I have not been able to cover all the sessions in my blog but I hope you find the post useful. I have had lots of positive comments in Birmingham over the last 2 days so I will continue to keep updating my journey as a newly qualified physiotherapist. As always any comments either post on here or tweet me @LCphysio. 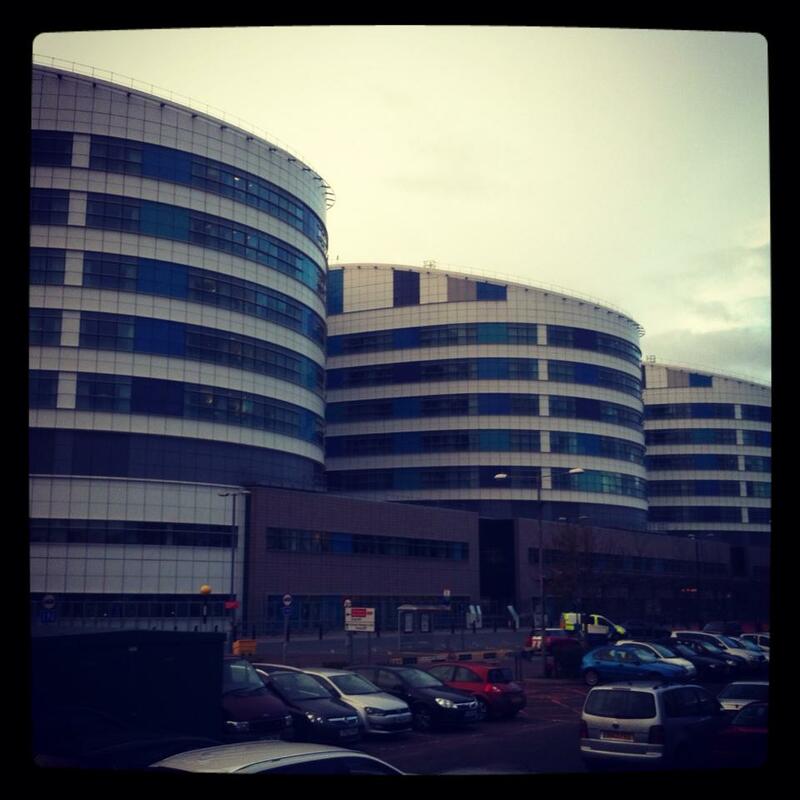 This week I started my new job at the Queen Elizabeth Hospital Birmingham and I survived!! My first rotation is on critical care… which for most new band 5’s, who have never done a placement on ITU I am sure would be petrifying! Especially since the QE has the biggest co-located ITU in the world holding 100 beds! …. Luckily for me it is the area I did on placement so it is not all new! (Though jogging my mind on respiratory has been quite as a task, as I last did respiratory placement in my second year). But I am happy as I know quite a few friendly faces which has been reassuring. Mid morning I got to go up onto the Unit. It didn’t feel too scary as I had been up there before so all the noises of monitors beeping and staff bustling seemed quite normal to me. I am currently on the rehab team on ITU which means I get to work across all the areas of intensive care which are Renal, Trauma, Neuro and Cardiac I think…. So as a new band 5 it is great opportunity to see all the weird and wonderful things! My team consists of two band 6’s and one band 8 so I am in a great environment to learn. We are currently involved in a research trial looking at early mobilisation in ventilated patients to see if this decreases patient length of stay in hospital. It is a very rewarding first rotation but I am due to rotate again in November 😦 (as I started mid way through), so I plan to write some objectives in line with the preceptorship scheme to achieve before I finish. At the QE we have an in service every Wednesday… so it will be a good opportunity to share my learning experiences each week as I won’t be able to share patients stories for confidentiality’s sake. From just doing my first week on ITU, it really puts life in perspective. Although I have had a few things going in my personal life recently, compared to what some of the patients and families are going through it is nothing and it really makes you view things completely differently! So back onto a positive note a permanent post has just become available at the QE so I have applied for that! I have had feedback from my last interview so fingers crossed it might lead to something else if I get an interview as there is a chance they might randomly select 🙂 (but now I have met the interview panel hopefully they won’t seem as scary :-S). Thanks again for taking the time to read my post. Any questions or comments please feel free to contact me on here or tweet me @LCphysio .